Join us an artist Talk by Elizabeth Briel, she will share with us her current residency project at pimary, transforming the space into an organic roots, uses Chinese calligraphy to imprint local culture and stores, a large on-site installation woven around the space. 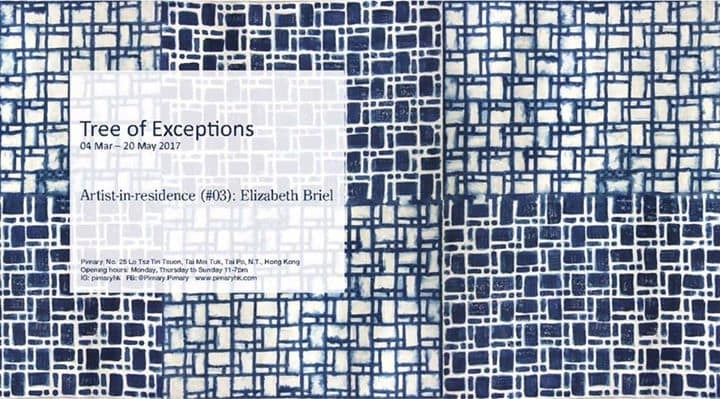 American artist Elizabeth Briel left the US in 2003 to explore the Asia-Pacific, hasn’t returned yet, and is currently based in Hong Kong. At the heart of her work are experiments with multiple layers of meaning in the interaction of material culture, text, language, and cultural collisions. « HKCEC – TEDxWanChaiSalon – Art: Who Cares?